Lego has a cool new Make your own minifig family app-- where you can customize a holiday card to make your own minifig family. The customization (and the costumization) are not infinite, but enough so that you can definitely express your family's individuality. You can also customize the message and the background. 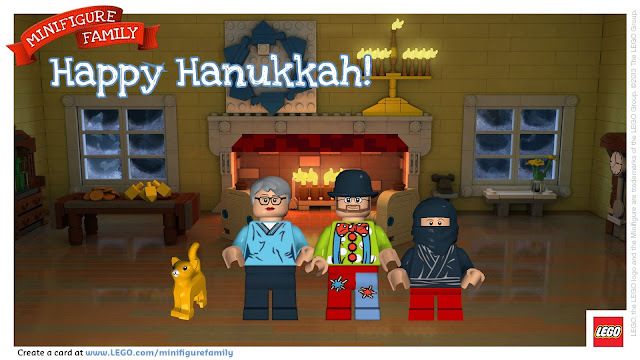 Here's our Hannukah card, featuring me, my wife, the cat, and of course, the Ninjago Kid. If you'd like to build your own, visit this website. And post a link to your family in the comments!